Why knowing a car that fits your safari is important! When do you need 4×4 cars for hire? There is a car that fits each kind of safari. There’s a chance for you to choose the type of car that fits your safari group. For group safaris the Latest models of 4x4Gx land cruisers that carry between 5-8pax are fit. These are good for small families that are planning luxury tours in Uganda or Rwanda. 4×4 big buses for hire/rent and 4x4minibuses/coasters with air conditioning cater for group safaris and to any destination in Uganda and Rwanda. Customized 4×4 (9-seats) safari vans with a pop-up roof top that favors wildlife viewing are good for bidder groups. These carry many people and many can stand at the same time to view wildlife during a wildlife safari in Uganda or Rwanda’s national parks. For a group of about 14 members, 4×4 tour vans for hire in Uganda /Rwanda with sitting capacity ranging from 6-14 sitter with a pop-up roof for game viewing is suitable. For solo travelers, Saloon cars/small cars for rent are available at an affordable price. These have limited mileage and applies to travel in Uganda inclusive of a driver. Other types of cars for hire are available, you just have to contact the right travel company. Knowing your destination is the best guide on which kind of car to hire. When do you need the car! This question is certainly important. The different seasons offer different travel difficulties therefore knowing when your taking the safari. This enables the travel service provider to make sure the vehicle is in good shape before the safari date. Contacting the travel agency early helps with getting prior advice. Don’t forget to have a valid driving permit, national identity card and money for car payment when your picking your car since it will be needed for professional business procedures. For non-citizens, carry your passport, a driving license, and any identification card. Expertise in driving is key. For those who cannot pick their car, the car can be delivered to you within Kampala. Each single travel company has their own terms and conditions to follow. Following these terms and conditions is so helpful for smooth safaris. Recommendable travel agencies for car hire services in Uganda and Rwanda include prime Safaris & Tours ltd. They offer all latest kinds of cars for hire especially the 4×4 wheel drives. 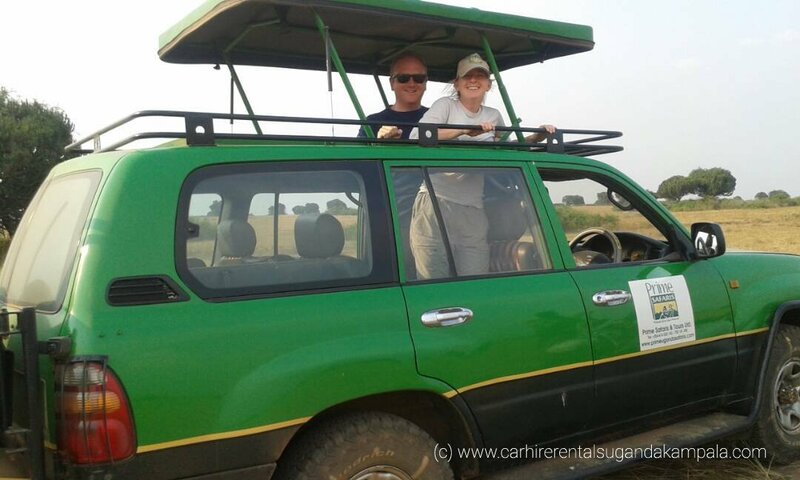 Hire a car for your safari and have the best ever type of safari without regrets.